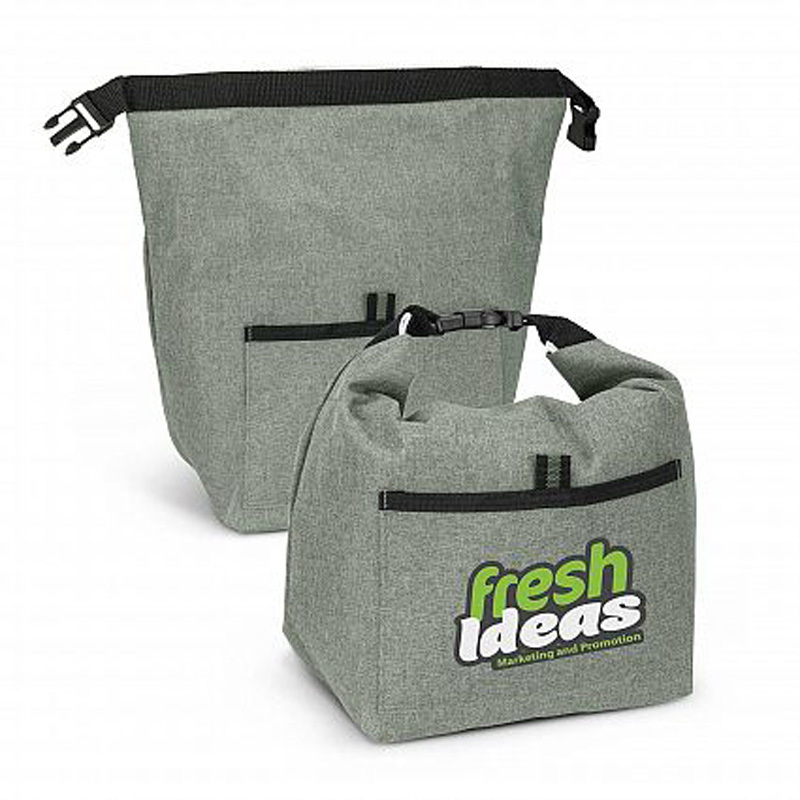 Large lunch cooler bag with PE foam insulation encased in a water proof PEVA inner liner. 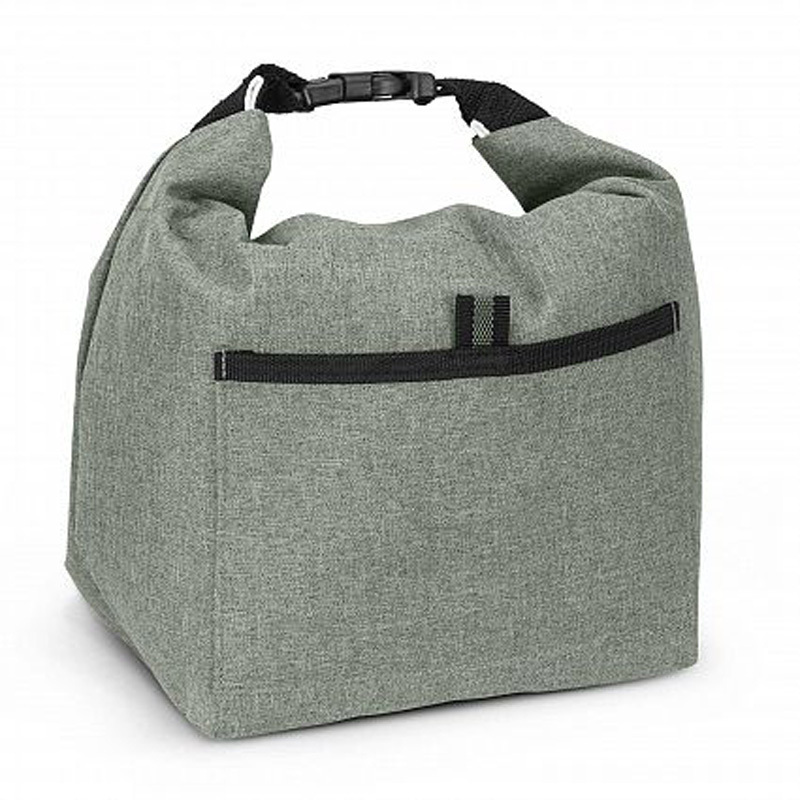 The outer construction is premium heather style poly-canvas with a handy slip pocket on the front. 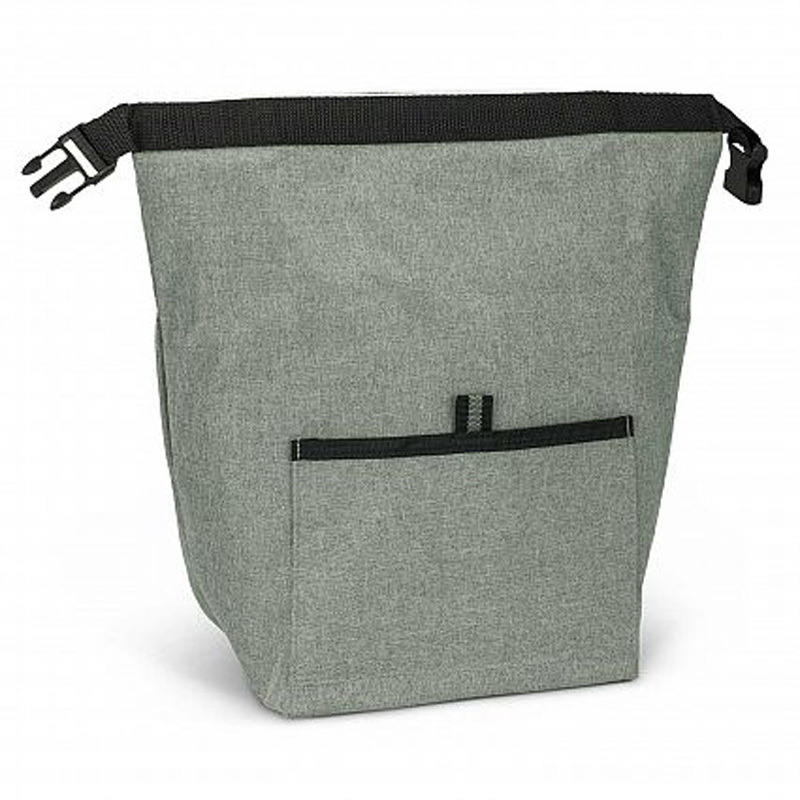 It has a secure roll top and buckle closure which forms a carry handle when closed. Screen Print: 120mm x 70mm. Full Colour Transfer: 120mm x 70mm.